Our inert gas range of lecture bottles cover most typical requirements, with purity levels in line with market requirements. If our standard products range does not give you the product you require, please do not hesitate to contact us. 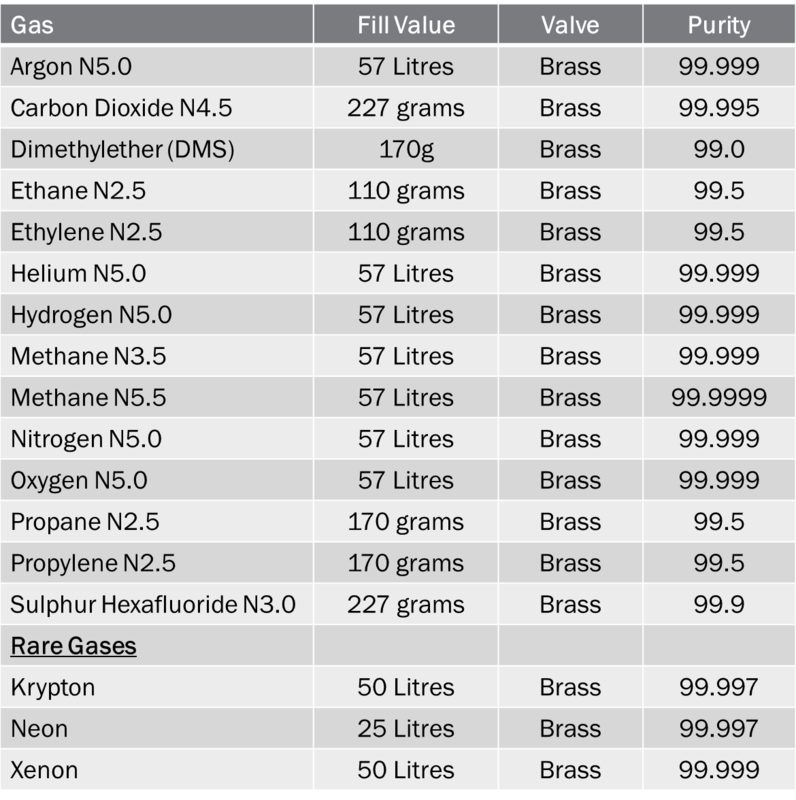 These gases can typically be shipped into Europe and the rest of the World by FedEx on our International Priority service, please inquire for your location. All of our products are supplied with the appropriate fitting to match the product, meaning your product will either be delivered with a brass or stainless steel valve. In either case these valves will be a CGA 180/110 fitting for your convenience.